Born in 1840 in the Snowy River area of New South Wales, William Edward Parry-Okeden had a lifetime of adventure and achievement. William moved from the bush to Melbourne with his parents in 1851 and attended school there. At the age of 14 and already 6 feet tall he joined the Volunteer Rifles, becoming an expert shot and fine horseman while at the same time acting in amateur theatricals. Then at age 17 he commenced work as an articled clerk, but he left that position after three years to join his parents who were working at a station in Queensland. 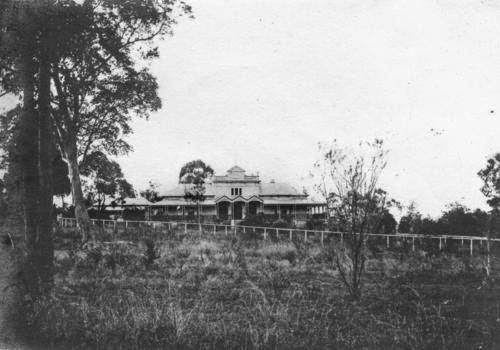 In 1867 he bought a property near Gayndah and became a well-known identity in the Burnett area. He was master of the hunt club; he raced horses, winning races despite his large frame; got to know the local Indigenous people; and his biography says "wrote lively ballads". 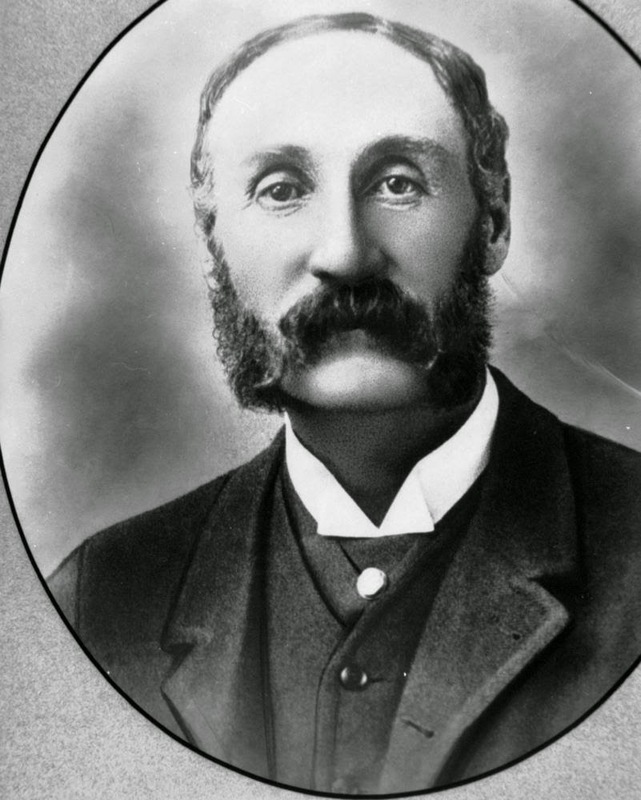 In 1870 Parry-Okeden commenced what was to be a 35-year career in the state public service. He was initially appointed inspector of customs, patrolling the New South Wales border to prevent smuggling operations that were then rife. He subsequently became police magistrate for Cunnamulla, then Charleville and then Gayndah. His sporting ability and genial character made him very popular with the locals. The Charleville Times even reported that Parry-Okeden sometimes delivered verdicts in verse! In 1886 he moved to Brisbane and in 1889 he was appointed as principal under-secretary, the highest public service post. During this period he was commended for his handling of the shearers' strikes of the 1890s. Around this time he and his family moved to Delamore, a large and lavish house at Kedron, where they entertained frequently. Here are some pictures of the dwelling. Delamore was subsequently purchased by the Catholic Church for use as a convent and then a school. It is now a retirement community and it is listed on the BCC heritage pages. Here is a more recent photograph of the entry. 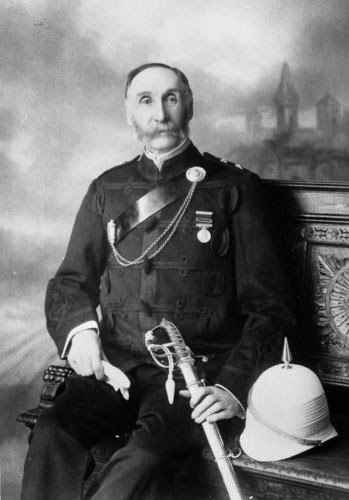 In 1895 William Parry-Okeden was appointed as Queensland's second police commissioner. Here is a photograph of him in what I presume to be his formal uniform. He reorganised the force into seven districts, initiated the grades of Constable 1/c and Chief Inspector, oversaw the formation of the Criminal Investigation Branch, devised more appropriate country uniforms, introduced the use of police bicycles and established the Fingerprint Bureau. William retired from the public service in 1905. 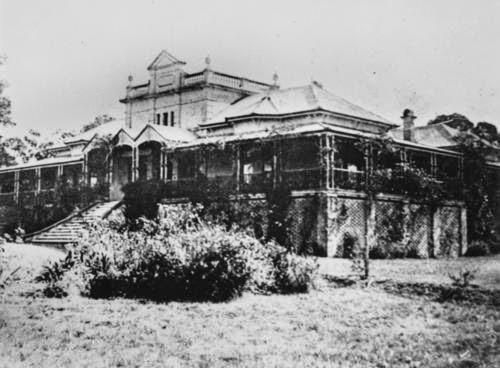 The Parry-Okedens lived at Delamore until 1912. They moved then to a significant property called Okewall at Redcliffe. After William's death that property was sub-divided into housing allotments. Holy moly! Is this place up around Padua & Mt A at Kedron? Never knew it existed. In one way it's good that these places form part of other bigger establishments so they're still standing but not so good that for a lot of us, we have no idea that they're there. Better than being knocked down I suppose. I wonder who built it originally? Yes, that is the previous Mt Alvernia girls' school. 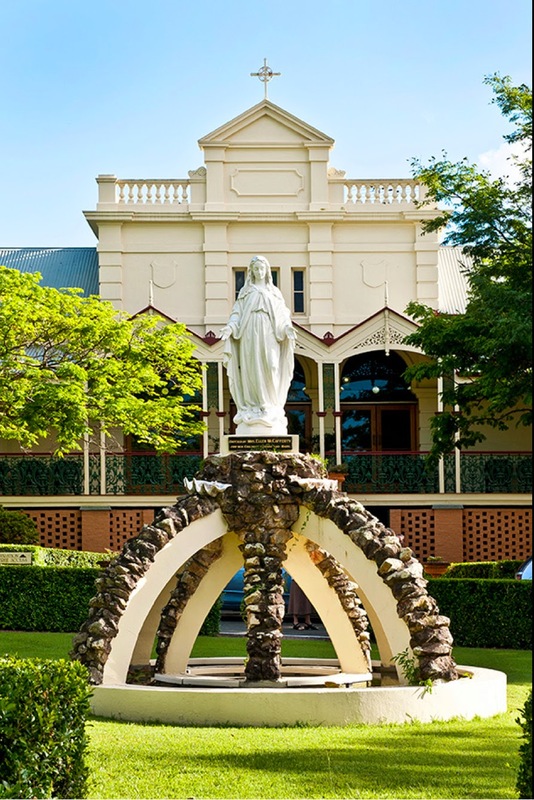 It was originally built for Henry Saint John Somerset, a Queensland public servant. He previously had lived near Ashgrove in an area now known as St John's Wood. My Great Grandfather, George Arthur Howard Robbins owned Delamore House in the 1920's apparently and according to the family tree, several of his and Daisy's children were born there.